Hello! We’re the Shermans. We live on the island of St. Thomas. 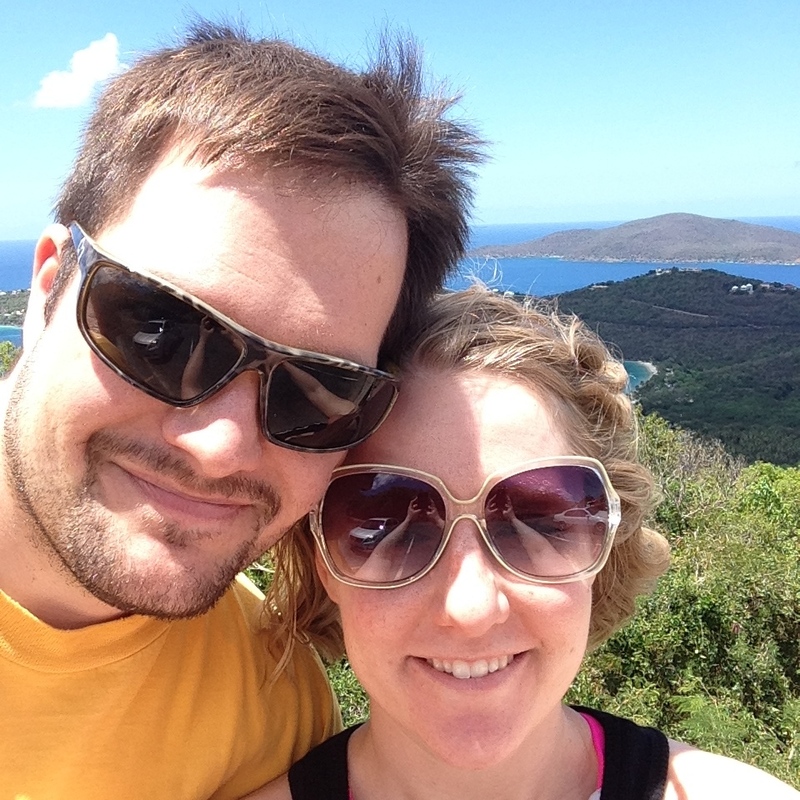 We are midwesterners who wanted more out of life, and our motto for moving to the USVI has been: no house, no kids, no regrets! Dan is a physical therapist and Sara is a freelance writer. We’re chronicling our adventures here; the good, the bad, the ugly, and the hilarious will all end up on this blog. Contact us with questions or for more details about our crazy Caribbean life! Hi Sara, this is Adrien’s mom. Would love to follow your blog! We really enjoyed our time with you and Dan while we were visiting A & M.
Had a great time with you guys and A&M in the BVI – Sorry I couldnt make the shot/boat jump. Continue the good work on the blog and hope to see you guys soon! Hi! I look forward to reading your blog, we are thinking of possibly relocating to St. Tho,as for a year or so! What a brave adventure you guys are on! I found your blog on Pinterest and have read every post. Very informative and entertaining! We are considering the move to the USVI and are going to visit this summer to check it out! Thanks! Hi Leslie! Thanks for reading. Shoot any questions you have to me via email and I’ll answer them to the best of my ability! me and my husband are really contemplating moving usvi ASAP. Looking forward to reading about your experience. Loving your blog! Heading to St. Thomas for a year-long work assignment in a few weeks and trying to read up on everything I can! Enjoy! Thanks for reading – where will you be working? If you want to meet up for happy hour, feel free to reach out!